Englishman Augustus Earle spent eight months in Hokianga and the Bay of Islands from October 1827. He was an itinerant artist and came to New Zealand because he wanted to learn more about Māori. Earle decided that Māori were brave and chivalrous, loyal friends and highly skilled in domestic arts. 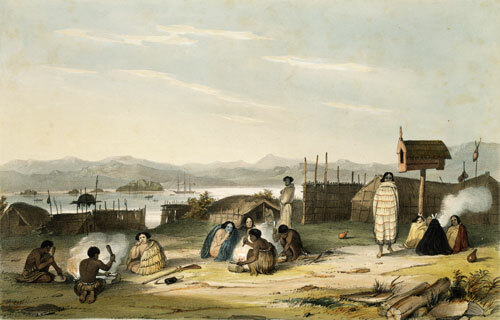 He painted a number of detailed images of Māori life. Many, such as this one, appeared in Sketches illustrative of the native inhabitants and islands of New Zealand, which was published in the year of his death (1838).